Deliciously sweet and flavoursome snap pea at its most tender just prior to filling the pod. The beautiful violet pods have an attractive emerald green centre and will produce beautiful bicoloured purple blooms. The unique tendrils also enable the plant to scramble up virtually anything and can stretch up to 6-7’tall. Peas are split into three main types, Shelled Peas, Mange Tout and Sugar Snap peas. 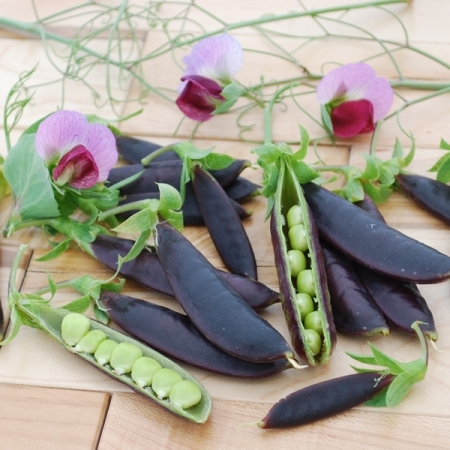 Mange Tout and Sugar Snap peas have sweet edible pods that are harvested at different stages of maturity. 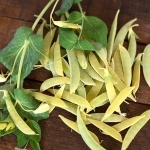 Flat-podded Mange Tout is harvested while young, whereas round-podded Sugar Snap Peas are harvested when they are semi-mature. Shelling peas are grown for the peas inside the pods. Once the peas have been removed the pods are discarded. 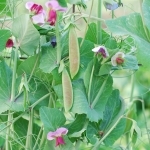 These peas fall into two main types, early and main-crop and are also divided into the sweeter wrinkle-seed and hardier smooth-seed varieties. Young, fresh pea shoots are both edible and delicious, try them to salads and stir fries. 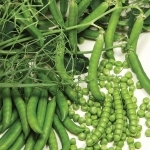 The best way to achieve a long harvest of peas is to sow successively from March onwards. Sow the seeds 2.5cm deep and 5cm apart into soil of at least 5C. Earlier sowings can be made from February using cloches to warm the soil. 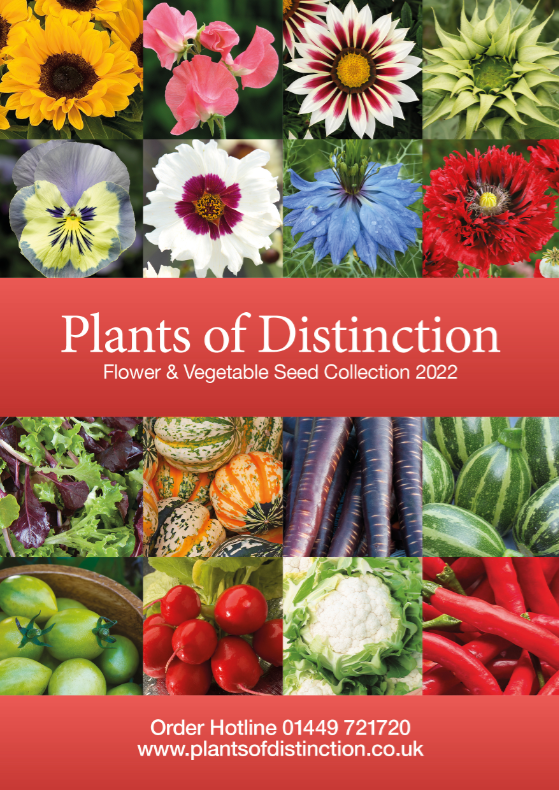 For successive plants sow the next batch of seed once the previous sowing has reached a height of 5cm. With the exception of dwarf varieties and some modern self supporting types, pea plants will need staking or netting to help support them. Early and regular picking will encourage more pods to develop.